Fiber Light has provided the refill bag so you are always prepared in a pinch. Always have back up with the Fiber Light Refill Bag. 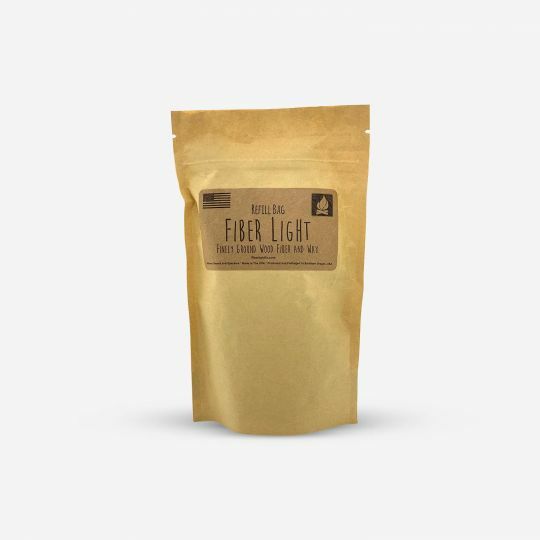 Fiber Light is an outdoor/survival fire starter made from finely ground wood fiber and wax. Alway be prepared with the resealable FIber Light Refill bag and have extra when you are hiking, camping, or hunting.